Posted March 21st, 2017 by Tamara Tucker & filed under Intellectual Property. Registering a trademark on the Supplemental Register gives a business exclusive use of a descriptive name or logo in a given category or categories of goods and services. It also means that if another company infringes on your trademark, you will have the ability to bring an infringement action to stop the infringement and possibly receive monetary damages for losses due to the infringement. The first thing to consider is whether your small company conducts business in multiple states or just within a single state. 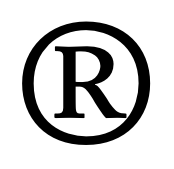 In order to register a trademark with the USPTO, which is a federal agency, the mark must be used in “commerce,” which generally requires that it is being used in more than one state. Because many businesses utilize the internet to market and sell to customers in a variety of states, that requirement is now met by small businesses more often that it was in the past. It is important from the outset to define the scope of your trademark by identifying which categories of goods and/or services best fit the description of what your business does. Careful consideration should be given to how broadly or narrowly you want to define the scope of the trademark. If you attempt to register your trademark in dozens of categories of goods and/or services, not only will you pay a larger application fee, you also increase the risk that there will be a “blocking” trademark already registered in one or more of the many categories. In that instance, your application is almost certain to be denied based on “likelihood of confusion,” and your application fee (ranging from $225-$400 per category) will not be refunded. On the other hand, if you define the scope of your trademark registration too narrowly, you run the risk that a competing business will later be able to register a similar trademark in a category of goods or services for which you did not register your mark. In that instance, you will have not created sufficient protection for your brand. Nearly all businesses, regardless of size, maintain an active internet presence through websites, advertising, and/or social media accounts. As a result, branding your business has become increasingly important. It is common to see similarly named companies in a given industry, which can create customer confusion and potential business loss. Therefore, even small businesses should develop a cohesive branding strategy (name, logo/design, slogan, colors, etc.) that will set them apart and make them memorable in the eyes of customers and potential customers. Trademark registration can be an essential part of that strategy, and it is worth consulting with a trademark attorney to see if registration is right for your business. *In some cases, challenges to a competing registration may be made if your trademark was first used in commerce at an earlier date than the prior registrant. These challenges are difficult and expensive.